I really don't truly care who wins the NCAA Tournament in 2018. I do however care who will win the Clash of Titans on Wednesday, March 14, 2018. 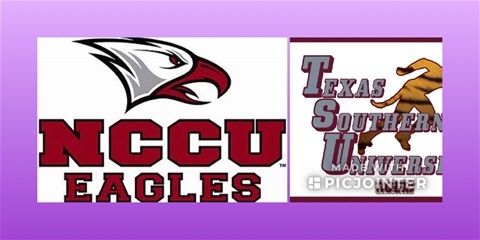 The National Black College Basketball Championship will be on tap with the Texas Southern University Tigers from the Southwestern Athletic Conference coached by Mike Davis playing the North Carolina Central University Eagles coached by Lavelle Moten from the Mideastern Athletic Conference. In other MEAC news, this spring presents Hampton University's last opportunity to represent the MEAC since the school will be leaving the MEAC this Fall to join the Big South Conference. Hampton and the MEAC have come to an amicable agreement regarding Hampton's abrupt decision to leave the conference. No longer though will Hampton's Blue and White colors don the MEAC athletic shield after this spring's conference competition. 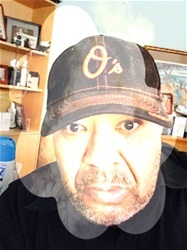 So Hampton University which gave the MEAC so many positive memories almost had a final chance to provide the league with a final thrill. The Pirates, however, lost to the Eagles in the MEAC Men's Basketball Tournament Final Game last weekend. So now NCCU will represent the MEAC in the 2018 National Black College Championship Game tomorrow. The Tip-Off will be at 3:40 PM. The Tigers versus The Pirates for Black College Supremacy. Who cares about the Final Four? The battle tomorrow will be epic with both teams understanding the importance of this tilt. Who Reigns Supreme? Who takes home the honor of getting blitzed by Xavier University this coming weekend. It just isn't fair but that's why college basketball is a total sham.